Many Buyers Forget That The Price Isn’t The Only Negotiation Point In A Real Estate Bell Purchase. There are numbers of contingencies and processes that happen before closing. The one that frequently causes deals to evaporate is the inspection and the repair negotiation process. It might happen that a single inspector would come and do all the tasks. So here we arrange everything for you. Our job here is to help you schedule inspections, and make sure that every task happens in the given time. Any Failure in conducting inspections can make the buyer postpone the decision. We make sure that this doesn’t happen. Even if you have your home inspection Maryland, Virginia or Washington DC done, there still remains the possibility of the buyer coming up with a question. This becomes the second negotiation in the contract process. We pore over the results of the inspection and prepare the required documents. Sellers do not normally have an obligation to undertake corrective action, so it becomes a critical negotiation, especially if the problems are significant. We’re here to assist our buyers in different negotiations. Some of them are: next to selling price, inspections and subsequent repairs. These three are the biggest killers of real estate deals. The seller might balk at your repair or corrective action requests. So, to keep your house deal moving, you need to use creativity. We’re experts in managing these negotiations. Besides all this, we maintain lists of contractors. Using this list, you can get the right contractor for your deals. We have the best real estate agents in Maryland/VA/Washington. Real Estate Bell agents keep the deals alive, even after inspection problems. Our key to every problem is to get involved at every step. Involvement helps in gaining more confidence. We make sure that every resource for your house purchase deal gets employed for your own benefit. DMV real estate has been hyped on internet. So, let’s just forget about the ideas given by internet marketing. With websites and all, the companies portray different images of its services. But the actual life is different from digital life. To get the best services, you should compare work and services not websites. With SEO and all the digital marketing, the search results become farce. The actual search percentage of any real estate website is very low. Since there are thousands of real estate sites and all are fighting for searchers, it gets difficult to find out about the actual search percentage. Why tell you this? We want you to learn about the power of “syndication,” and why Real Estate Bell spends significant resources, time and effort in syndicating your listing and information. With your listings we can get you in the top ratings on various search engines. Google, Yahoo! And many other engines have defined algorithms for these rankings. So we become the best spot for all real estate work. Although we’re getting great search engine exposure, we’re not relying only on it. All the sites, on which we syndicate your listing, have links of our website. This way we get more visible online. By attracting many buyers we make your DMV real estate property shine in the top searches. Since the surveys have proved that the more clear and perfect the picture is, the more people it’ll allure so, we take perfect and HD pictures of your house and showcase it on our site. With this activity, the buyers can get an idea of your house. The descriptions are carefully attached to the pictures. Through good and in depth information we bring every aspect of the property forward. Once a buyer gets to our site from these conduits, we lock his/her attention. After that we try to connect to them at a personal level. The direct connection increases the chances of buying the property by the prospects. 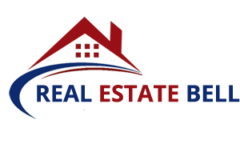 Real Estate Bell gets a great deal of our listing business from referrals by our satisfied sellers, so don’t hesitate, let us get started in helping you today!